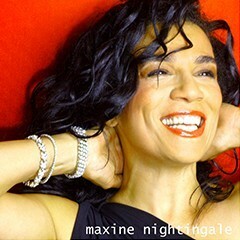 Maxine Nightingale is a World-famous Grammy Nominated Pop/Dance/Jazz/R&B Contemporary Recording Artist who has been touring all over the world for the past 27 years. Maxine’s album “Lead Me On” was certified multi-platinum in 20 countries and it gathered another #1 hit single “Lead Me On” on the Pop, R&B, and Adult Contemporary Billboard Charts. It stayed on the top of the U.S. music charts for a record breaking 47 weeks . The song “Lead Me On” was recently placed at #11 on Billboards All Time Contemporary Songs from the Past Century. Over the past decade she has continued recording for RCA records and released numerous jazz, pop and urban contemporary CD’s thru the US and in Europe. Some of the artists that Maxine recently shared the bill with include, Santana, The Commodores, Lionel Richie, Boz Skaggs, The Average White Band, Rose Royce, The Temptations, Marilyn McCoo / Billy Davis Jr., and Isaac Hayes. Maxine recently completed a Jazz nightclub tour throughout Europe and continues to perform her classic “disco” show at venues and Nightclubs throughout the world! She was the “Special Guest” of Niles Rogers and performed for 18,000 people at the Hollywood Bowl (needless to say she tore it up with her high energy style!!!!) Maxine headlined a US Disco Tour with Thelma Houston, Martha Wash the Village People, the Tramps and KC and the Sunshine Band. Her hit song “Right Back Where I Started From” was highly used and is featured on the soundtrack CD for the hit movies “Starsky and Hutch” and the “Family Stone.” The song can also be heard in various commercials for Pantene Hair Conditioner. She has toured the world including Europe, Australia, Asia, Japan, mainland China, Mexico, Denmark, Costa Rica, Canada, Venezuela, Spain, Greece, France, Germany, and Africa. In February 2014 Maxine was booked by Resorts International Hotel in Atlantic City to headline her own show for a 3-month run called Disco Lady starring Maxine Nightingale, where she played to SRO crowds nightly! Maxine makes her home in Los Angeles.